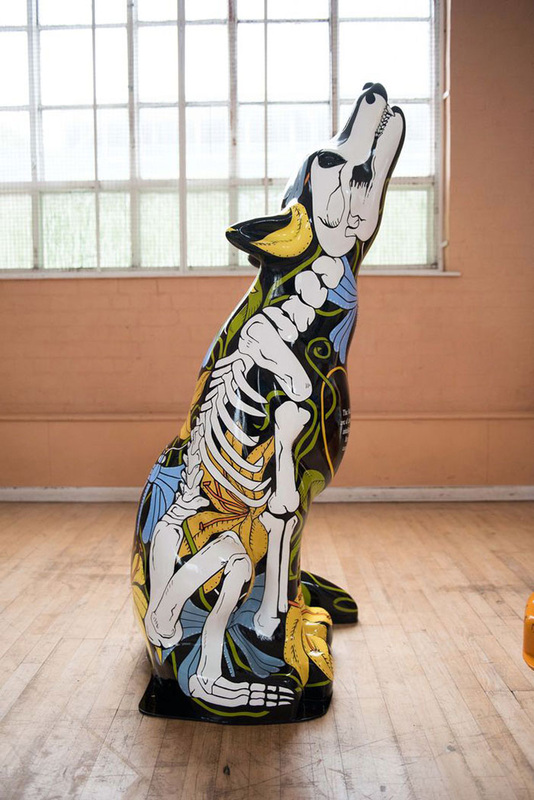 Addressing the false image of Wolverhampton as a drab and dead city, this design depicts the skeleton of the wolf, showing underneath the surface into the soul of the wolf (which symbolises the people of Wolverhampton). 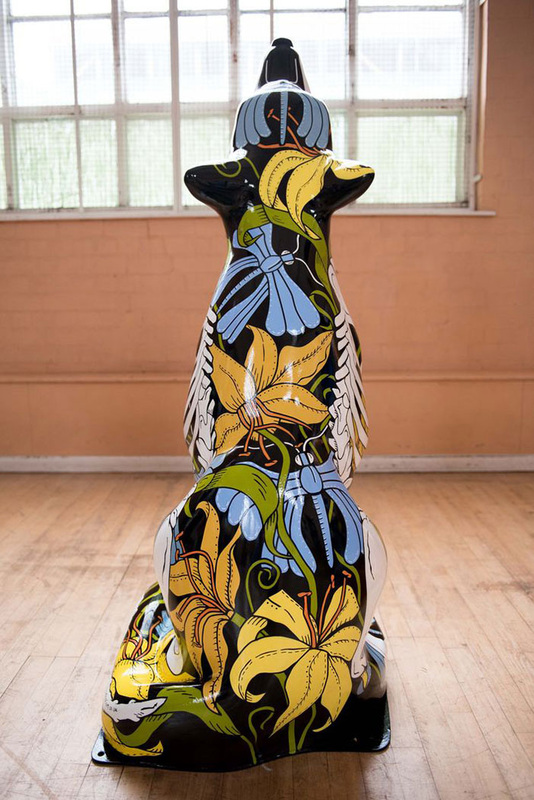 We can see a bright and wild floral jungle filled with exotic flowers and butterflies, signifying the vibrant, wild and creative nature of the people, showing the true nature of the city. 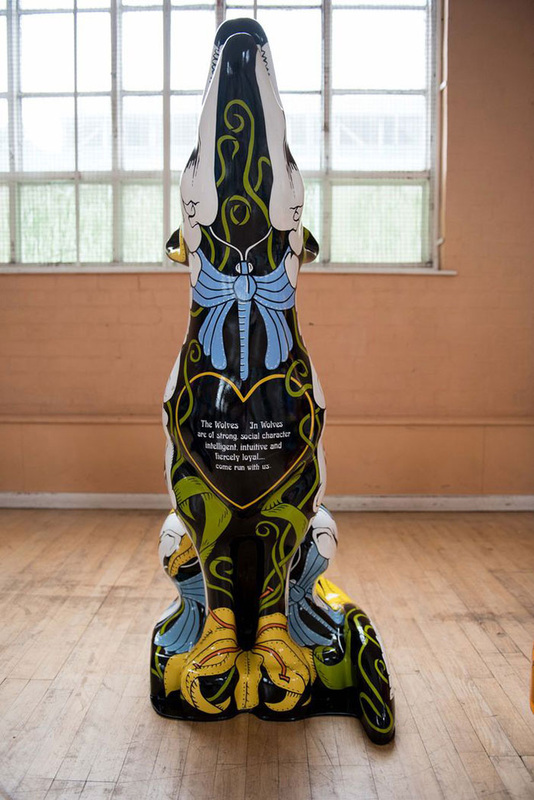 The words on the chest are a description of the character of a wolf, the city and of all of us who belong to the city. Come Run With Us!